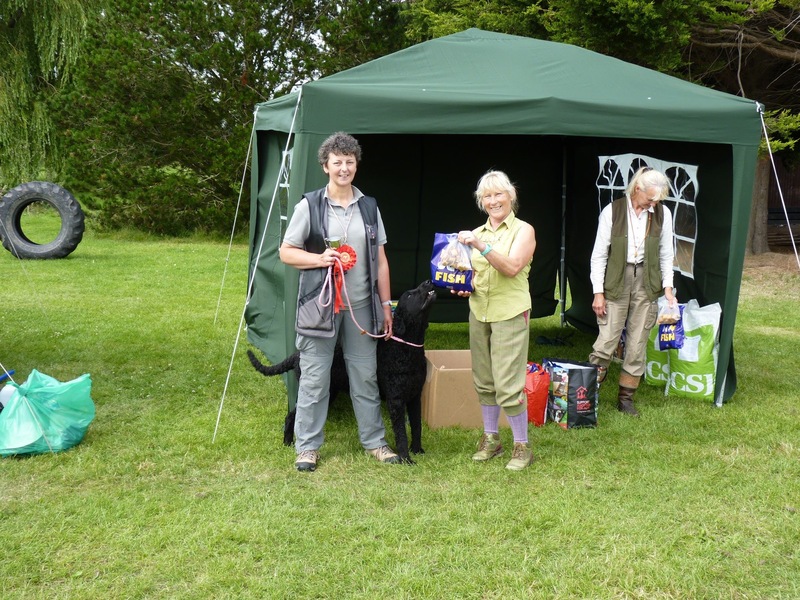 The Curly Coated Retriever Club Working Test was run the day after the Championship Show. There was a puppy class, beginners class and a novice class. We entered all three girls in the novice class. Tanner was first after a run off and Leto who hasn't done any training for about a year, and is almost nine years old completed every test. Elsie got good comments from the judges, but just needs to understand that I do know what I am doing, and listen to me. For results from the event click here.